The world’s leading tech company, Samsung Electronics, has recently launched its mobile payment platform and already started gaining transactions in South Korea. The amount of transactions reached $30 million during the first month. Obviously, the results have exceeded company’s expectations. Samsung’s success in South Korea is inevitable. Samsung is planning to implement its payment solutions in other countries as well. According to the information provided by the Wall Street Journal, the company is also preparing to launch its Samsung Pay service in the United States very soon. 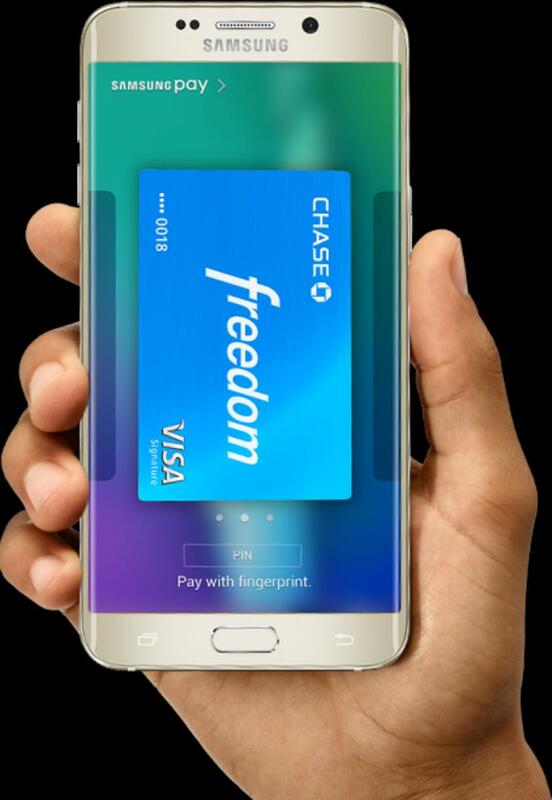 As it has been planned, Samsung Pay will be represented on the US market on September 28. Samsung is cooperating with MST (Magnetic Secure Transactions) and NFC right now. The statistical data show that up to 90% of online sellers from all over the world prefer to use Magnetic Secure Transactions for gaining physical credit card transactions from their clients. This means that Samsung Pay has good chances to succeed in different locations of the world. Samsung Pay is already available for users of such mobile devices as the Samsung Galaxy Note5 and the Samsung Galaxy (S6, S6 edge and S6 edge +). The company is also going to make its Samsung Pay service available for users of the Samsung Gear 2 watch. The smartwatch will be launched the next month. It is beyond doubt that Samsung Pay is a serious competitor even for such popular payment solutions as Apple Pay. Samsung demonstrates excellent results in mobile payment industry. So, it has recently reached the 1.5 million transaction level. The number of people who use Samsung Pay service every day has increased by almost 10 percent. The company’s success can be also explained by the acquisition of Loop Pay. Apple is considered to be the major competitor of Samsung Pay and world’s leading provider of payment solutions. Apple Pay’s customer base is much larger comparing to Samsung’s one. Moreover, the number of Apple Pay’s clients quickly increases day after day. Special attention should be drawn to the fact that a lot of people already use Apple Pay service in Europe and the United States. Apple remains to be the leading payment processing company on the market. Samsung makes huge efforts to promote its payment service and spends a lot of money on advertisement. The company has started advertising its payment solution in South Korea. It is the country where Samsung has already established a good reputation due to its smartphones. So, it would be much easier for the company to promote its payment solutions in South Korea. Samsung has already launched its mobile payment system and achieved successful results in South Korea. Now, the company is ready to represent its product on the US market. Samsung is planning to organize a special promotional event in New York City. During this event the company will represent Samsung Pay service and other its products to the public.